Here's an exclusive picture of #shraddhakapoor and #prabhas from the sets of their upcoming film #Saaho! We are in love with them. Saaho is a high-octane action film, which has been directed by Sujeeth and it will be produced by Vamsi. Other than Prabhas and Shraddha, Saaho also stars Neil Nitin Mukesh, Mandira Bedi , Arun Vijay and Jackie Shroff in pivotal roles. Saaho has been extensively shot across Hyderabad, Mumbai, Abu Dhabi, Dubai, Romania and other parts of Europe. The film went on floors in August 2017. Saaho will release in Tamil, Hindi and Telugu simultaneously and it will clash with Akshay Kumar's Mission Mangal and John Abraham's Batla House at the box office. All the films are scheduled to release on August 15 next year. 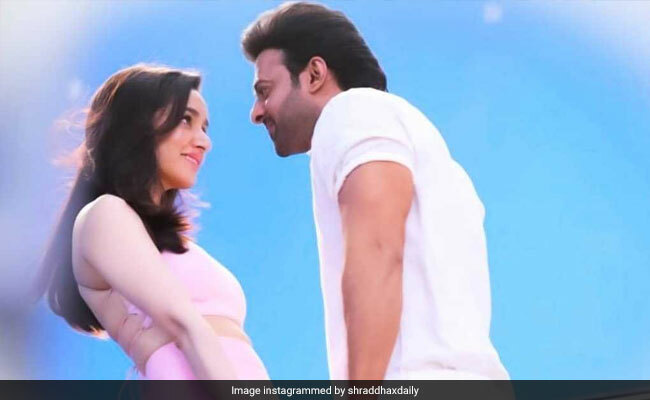 Saaho marks the debut of Shraddha Kapoor in the Telugu film industry.